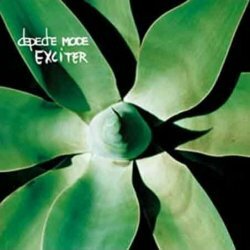 In 2001, Depeche Mode released Exciter, which was produced by Mark Bell (of the pioneering techno group LFO). Bell introduced a minimalist, digital sound to much of the album, influenced by IDM and glitch. The album failed to achieve the same levels of sales as the band's previous three releases, and was the first studio album by Depeche Mode to chart higher in the U.S. than the UK, although it reached the Top 10 in both countries. "Dream On", "I Feel Loved", "Freelove" and "Goodnight Lovers" were released as singles in 2001 and 2002. The critical response to the album was mixed. Whilst it received reasonably positive reviews from some magazines (NME, Rolling Stone and LA Weekly), others (including Q, PopMatters, and Pitchfork Media) derided it as sounding underproduced, dull and lacklustre. and on tours following the Exciter Tour (Touring the Angel and Tour of the Universe), the band have chosen to play only one ("Goodnight Lovers" or "Freelove") or no songs whatsoever from the Exciter album.